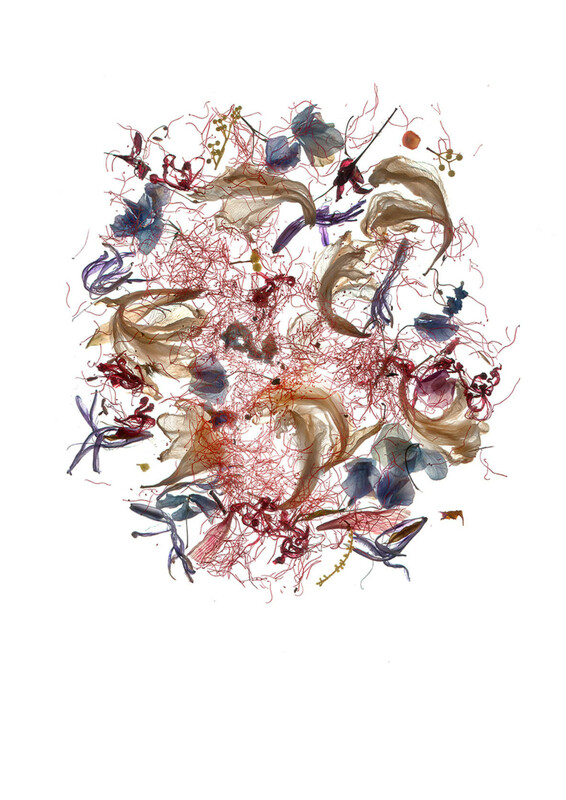 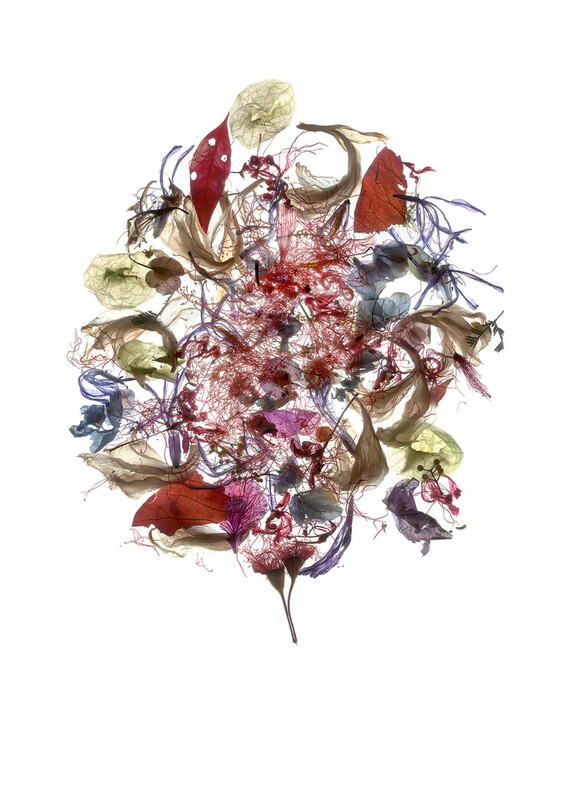 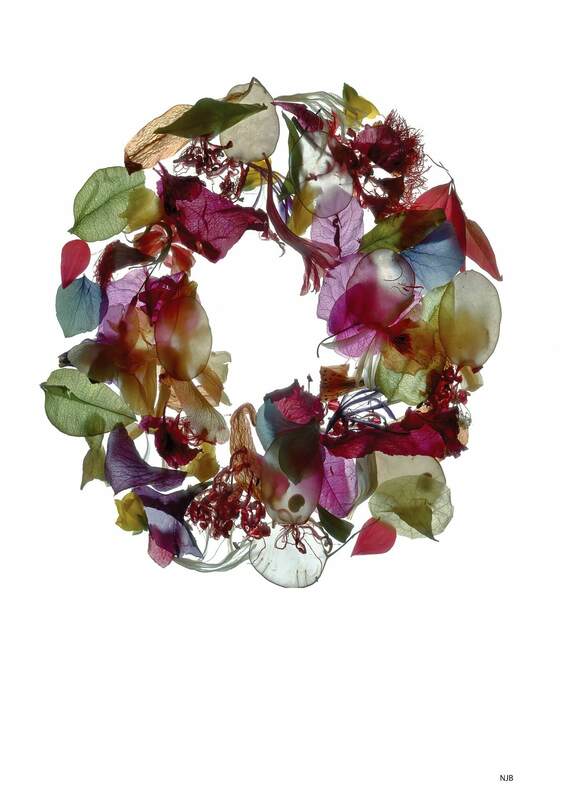 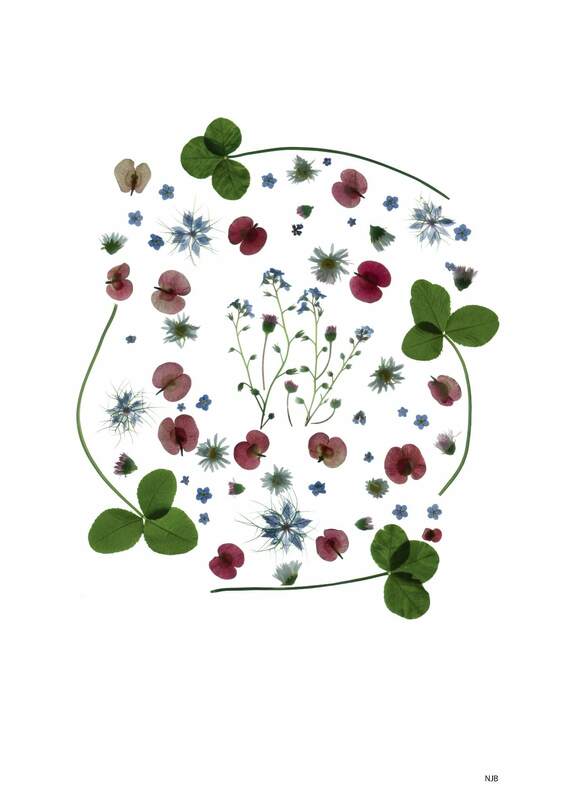 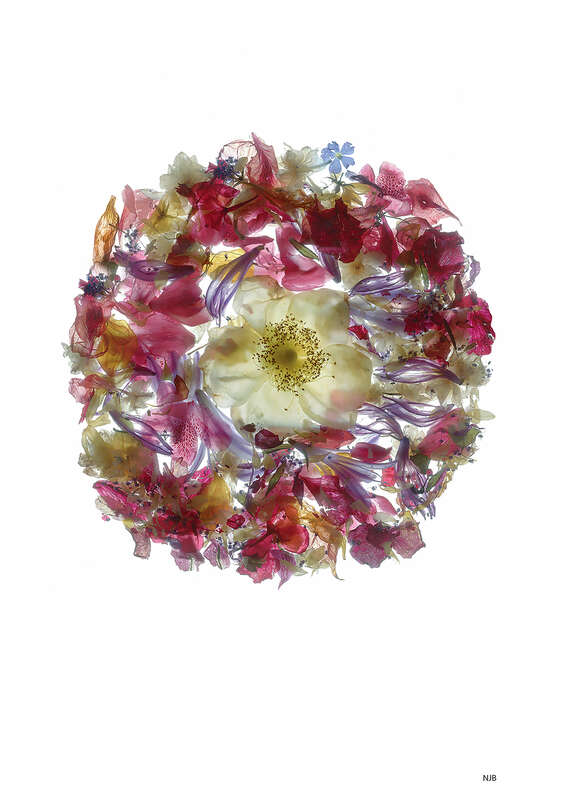 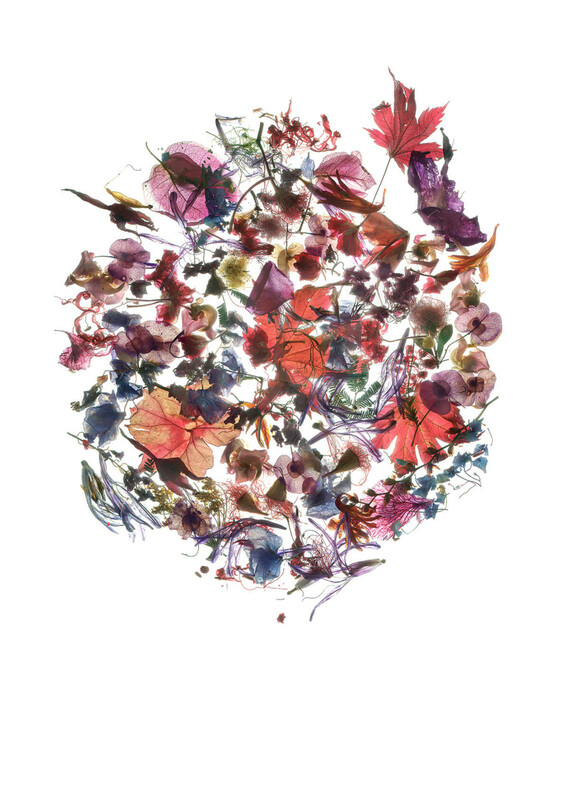 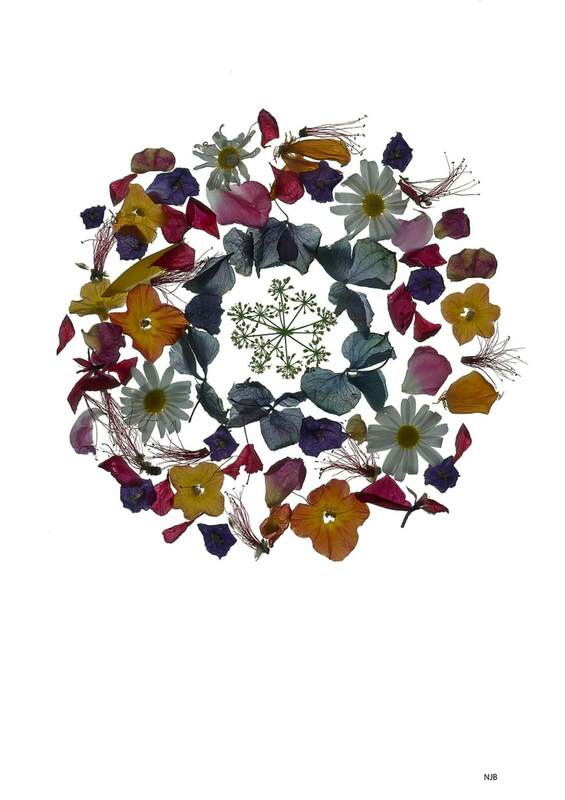 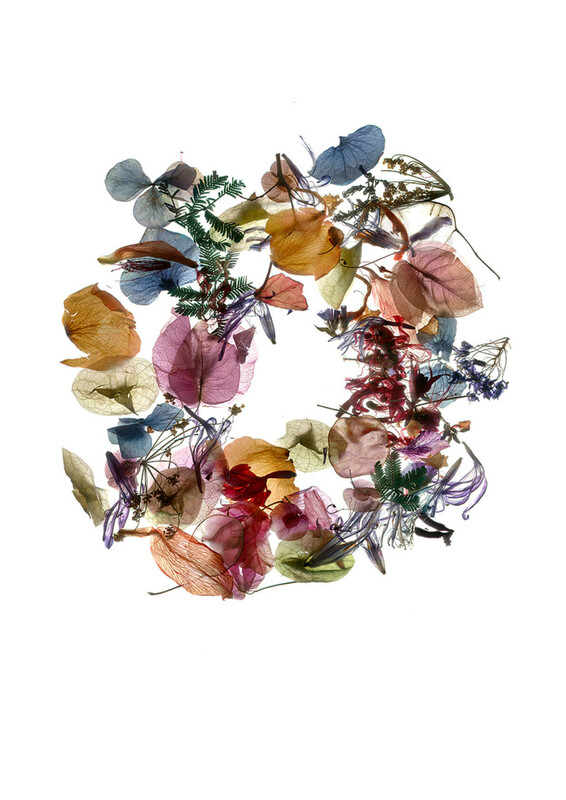 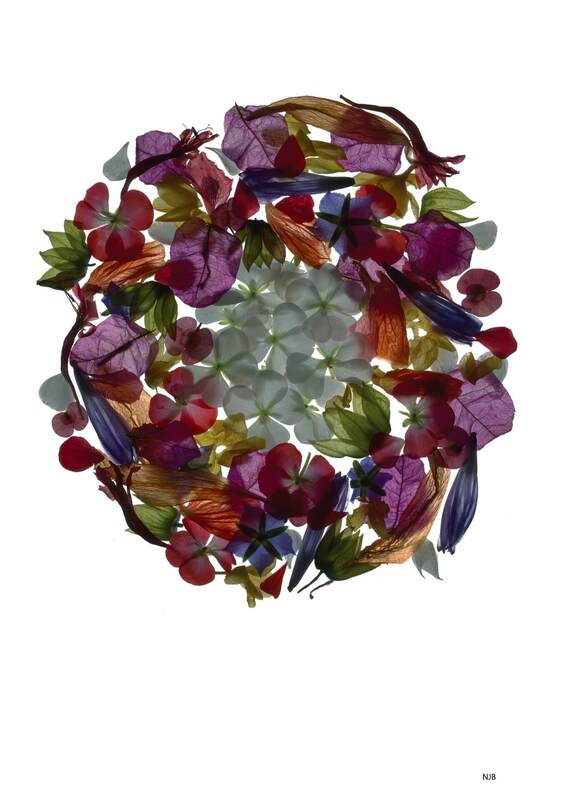 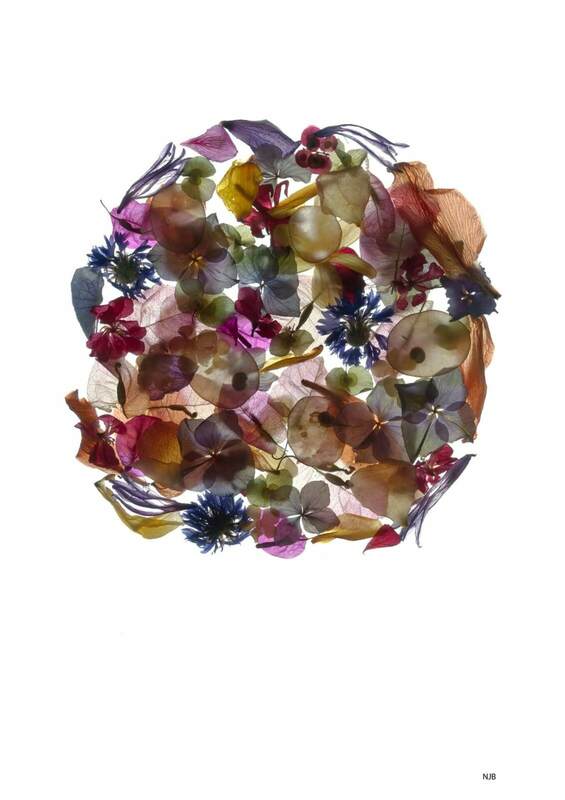 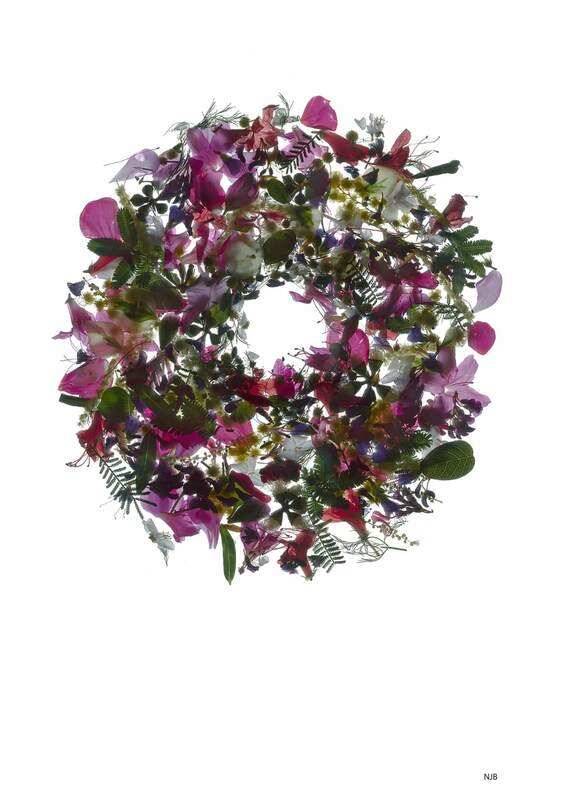 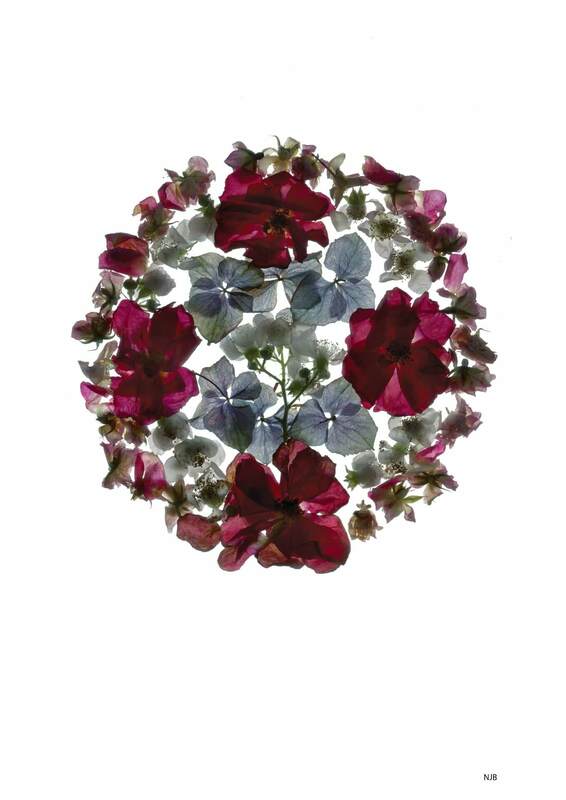 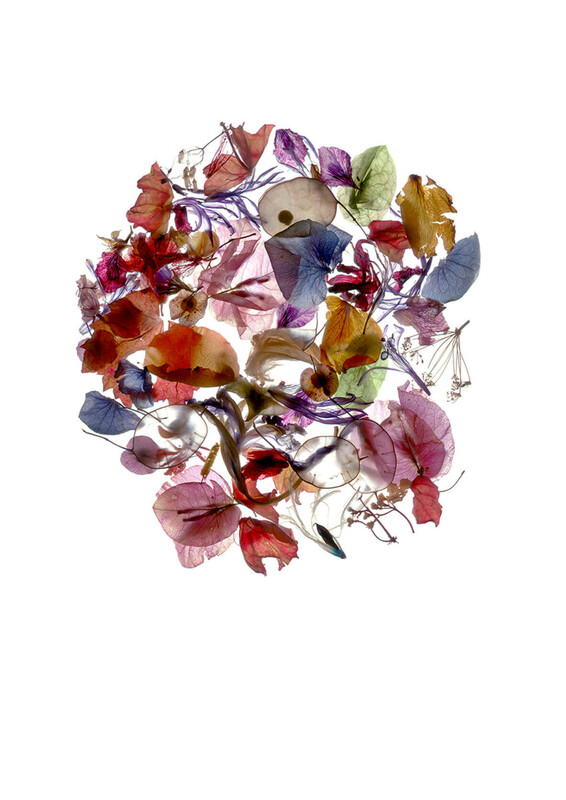 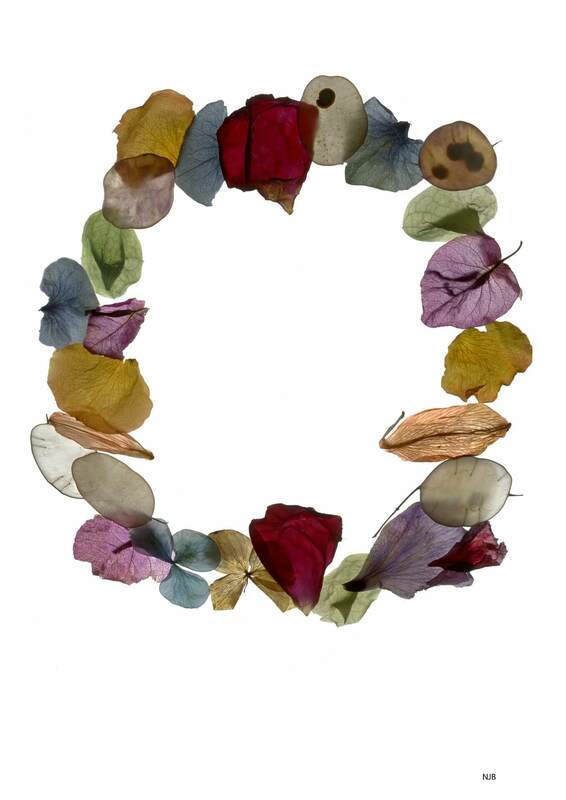 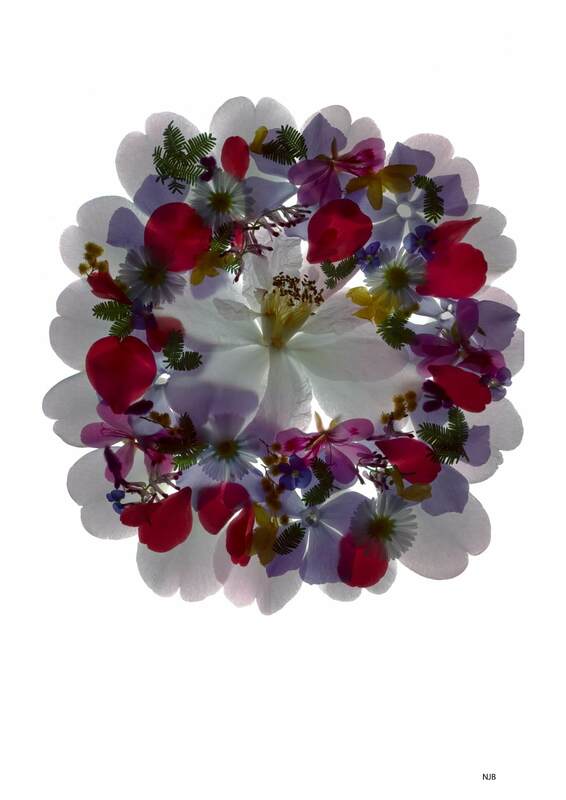 These colour filled floral wreaths are circular celebrations of life and its many stages. 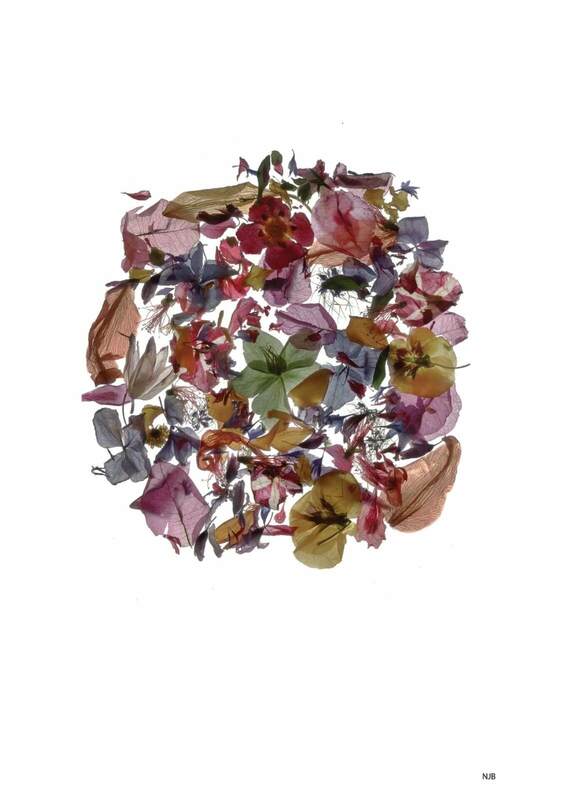 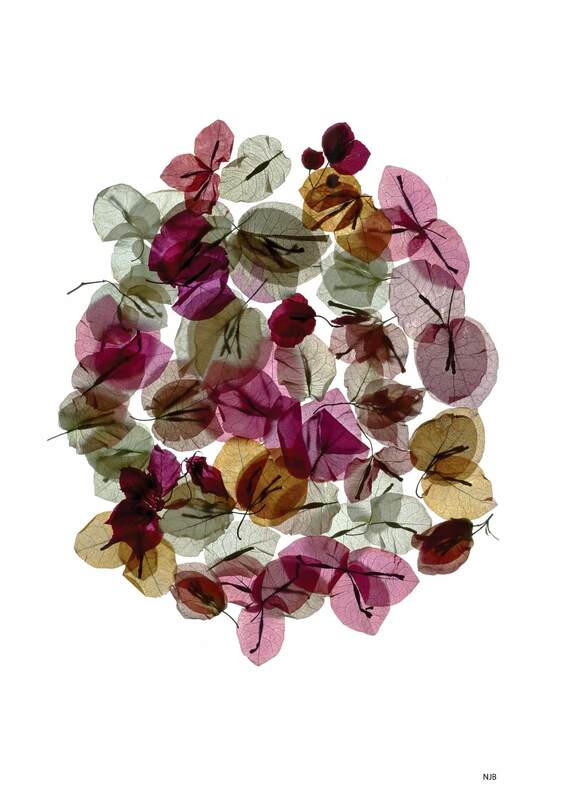 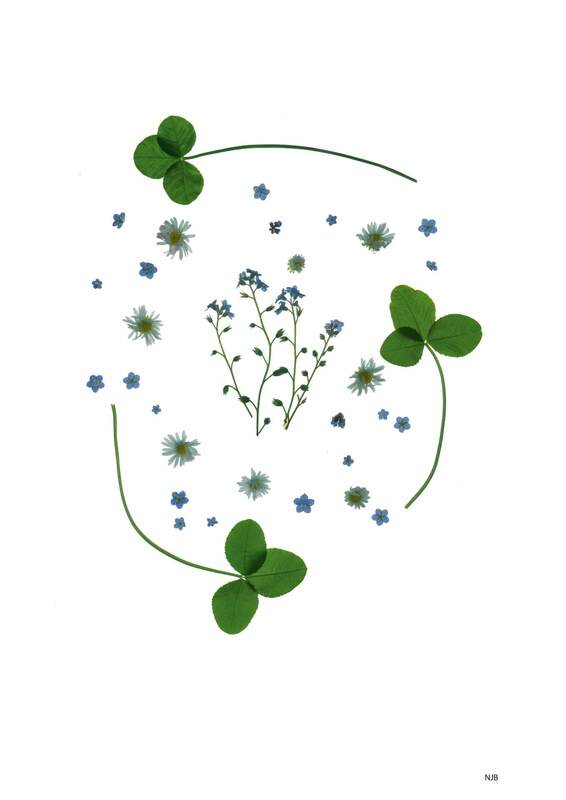 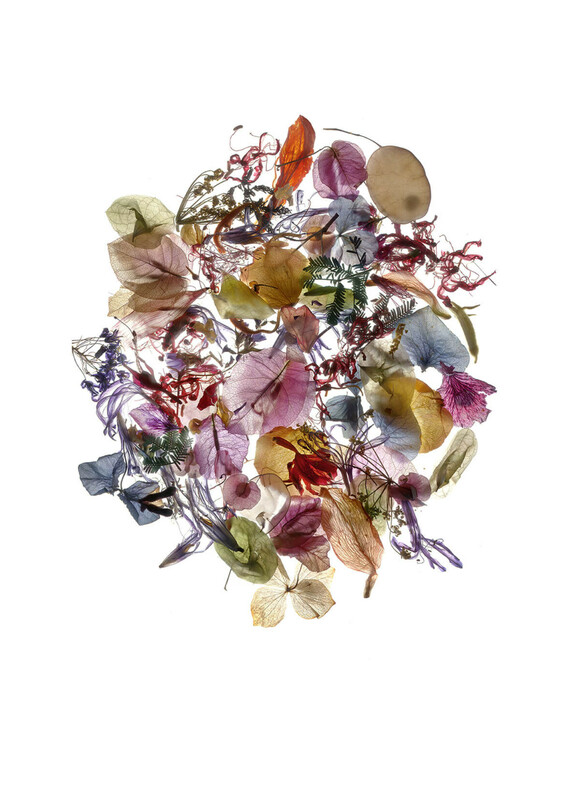 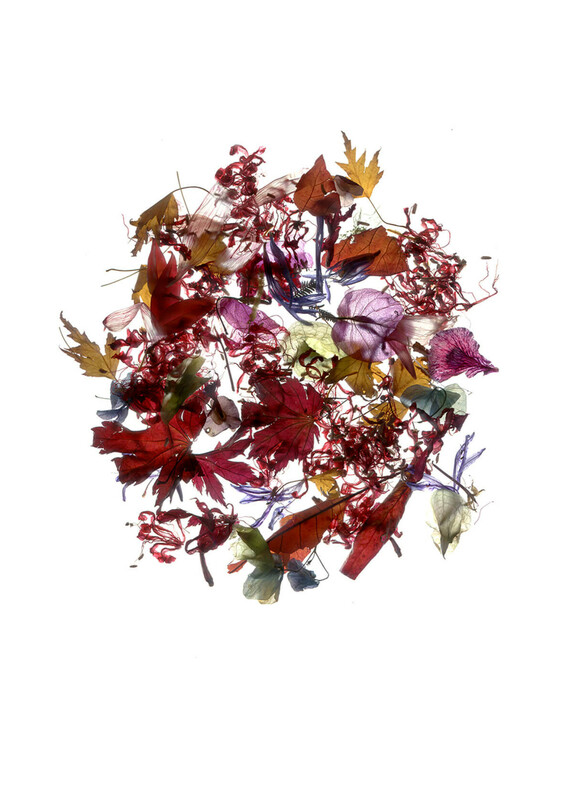 I have collected petals and observed their transformation over several weeks and months. 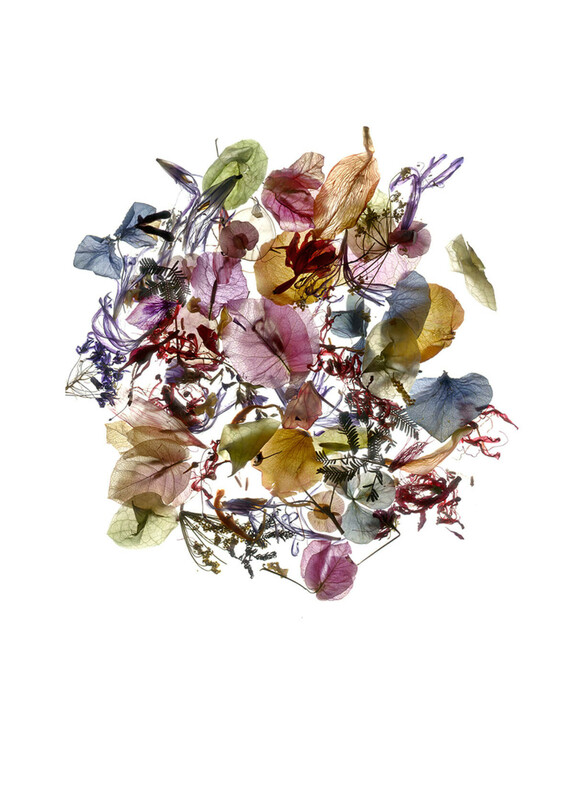 Their colours and forms blend to combine beautiful compositions which remind me that though they are past their prime, their beauty still allures. 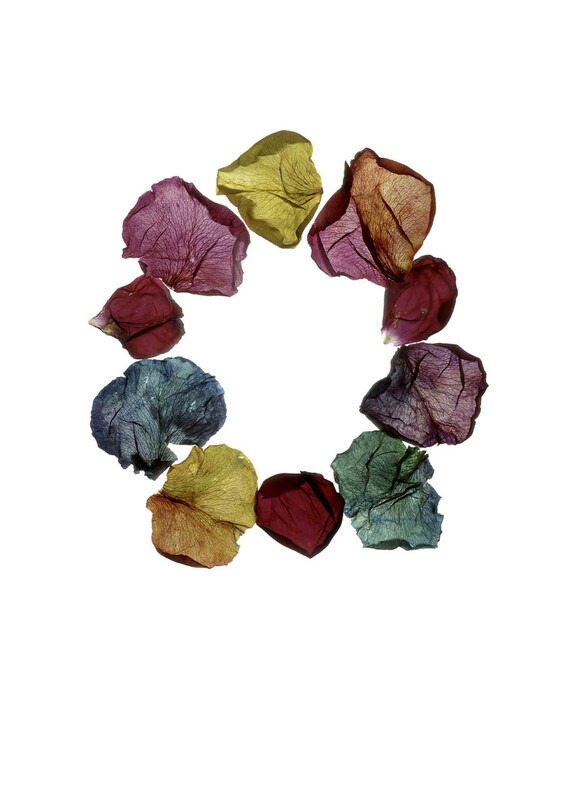 Vibrant, round compositions use the petal as metaphor, representing the physical and intangible changes that occur as we age. 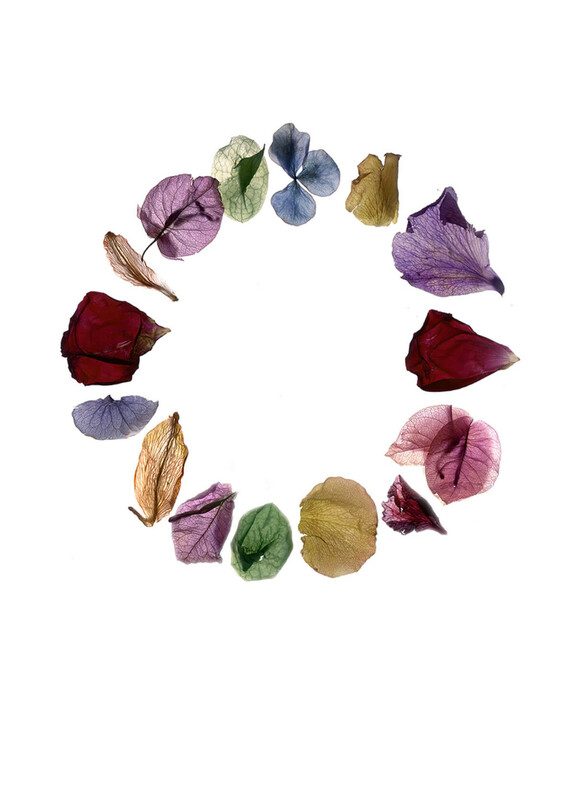 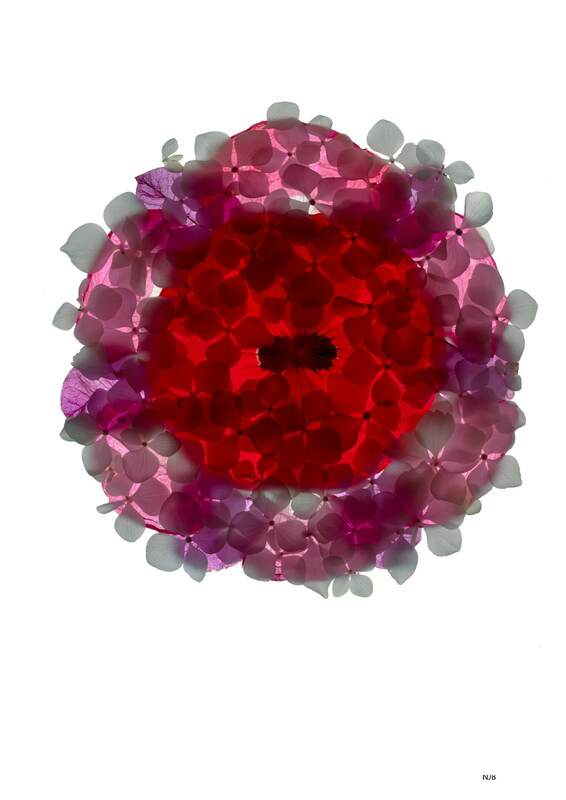 The petal is a simile for skin and body and the effects of time that create certain changes as we get older. 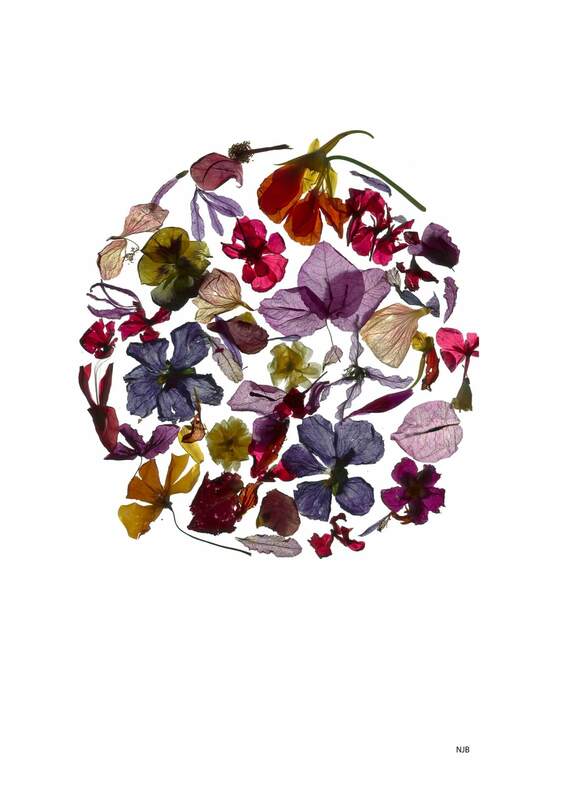 I liken them to myself personally as a woman whose body and skin is transforming. 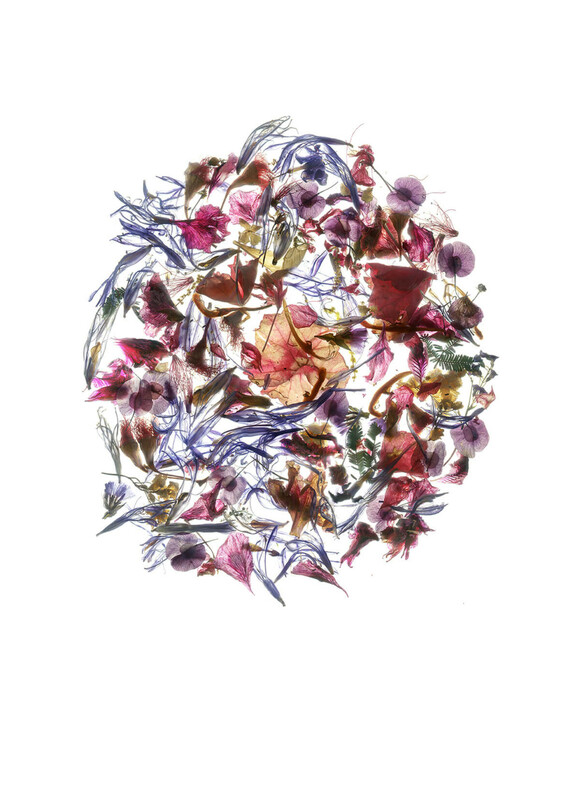 Though aging and bodily changes may be inevitable, wisdom, empathy and depth from life experiences prevail.